Dependable is excited to be involved in the building process of an 8,000 sq. ft. home in Livermore, CA. 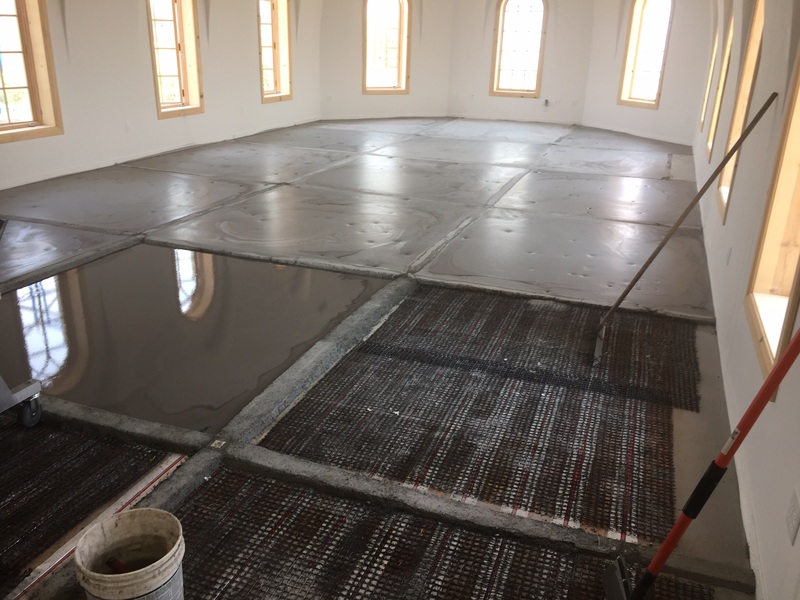 The homeowners used KEEDELATH™ and SKIMFLOW® LP for their floor prep needs. 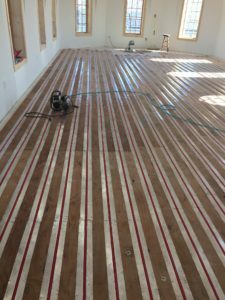 After a radiant heating system was in place, workers installed KEEDELATH. 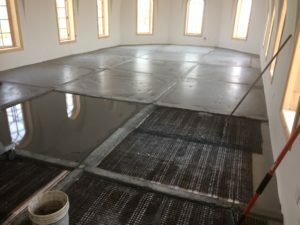 This product was implemented into the project due to the thickness of SKIMFLOW LP poured (3/4”-1 1/4”). KEEDELATH’s high strength ability allowed for reinforcement under the SKIMFLOW LP, and over the radiant heating. The homeowners enjoyed the idea of a synthetic lath for it’s durability and non-rusting properties. KEEDELATH is a self-furring synthetic lath that is easier to install and lighter than metal lath. This product can be applied with self-levelers while being flexible, strong, non-corroding, and lightweight. 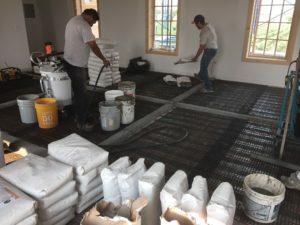 Furthermore, SKIMFLOW LP’s high quality and affordable cost is why it was chosen by the homeowners as their flooring underlayment. 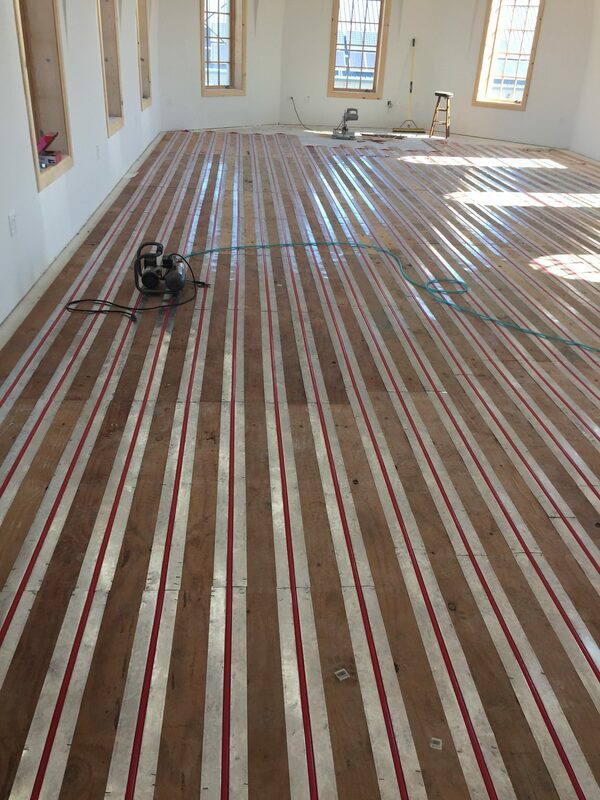 The product’s self-leveling characteristics work well with the home and the radiant heating system that was chosen. SKIMFLOW LP is also suitable for installation over a wide variety of substrates across the home. SKIMFLOW LP is designed to address unleveled or old damaged floors in residential, commercial, and institutional environments. SKIMFLOW LP is compatible and suitable with a wide variety of finished flooring options and heating systems. Click HERE to see full project profile.